Dubai. 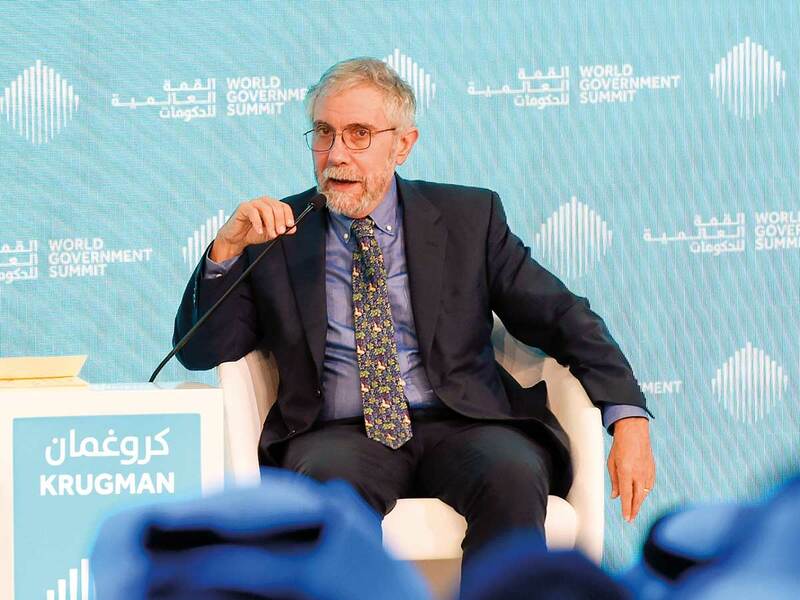 Robots snatching our jobs at an alarming rate is a modern-day hype, Noble laureate Paul Krugman said during a session titled ‘Global Trade: Future Foresight and Analysis for Governments’ moderated by CNN’s Richard Quest. Krugman, winner of the Nobel Prize for Economics (2008) said he was sceptical a high-tech ‘Industrial Revolution 4.0’ is sweeping an unprepared world. He questioned how it was possible that “robots are taking our jobs but productivity growth is so low. The numbers suggest technological changes are sluggish”. He said the impact of technology as a factor in the job market was “overrated”.